Little Magic Stories is the latest project by Chris O’Shea, with aim to encourage children to use their creativity to bring stories to life. The installation allows them to create a performance from within their imagination, on stage, in front of an audience of family and friends. This is the first version of the project to test the idea and build the system. This story about the seasons was created entirely by the children, with the interactivity in the scenes built by me. Some scenes used motion detection in zones to trigger animations, such as catching Easter eggs, squashing sand castles or launching fireworks. 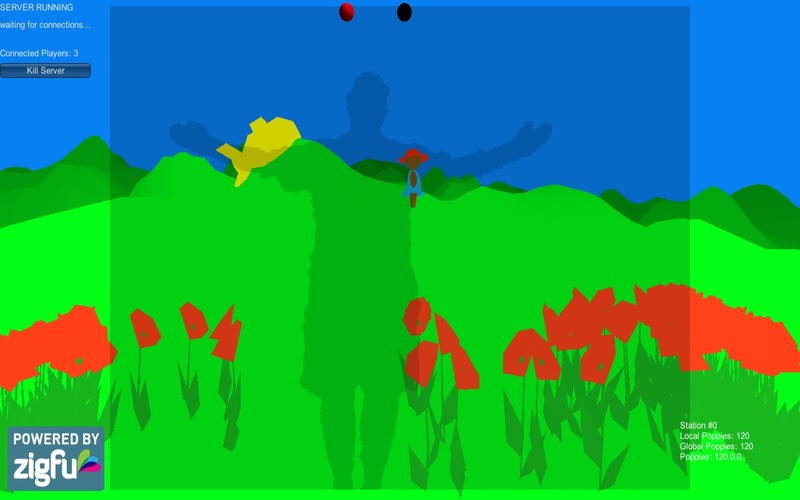 Body tracking and basic physics were used in other scenes. I am planning to use this project in workshops with groups of children to get them excited about storytelling. They will be able to use the system to create their own narratives, as well as drawing the content by hand, before performing to their friends. The system will have improved physics, dynamic animation of objects and scene animated sounds. Chris used the Musion Eyeliner holographic projection system for this project, allowing the graphics to appear to be alongside the performers. This uses a technique called Pepper’s ghost, and you can see the technical set-up here. An Xbox Kinect camera was also used to track the performers on stage. The software was custom written in C++ and used openFrameworks, openCV and Box2D. 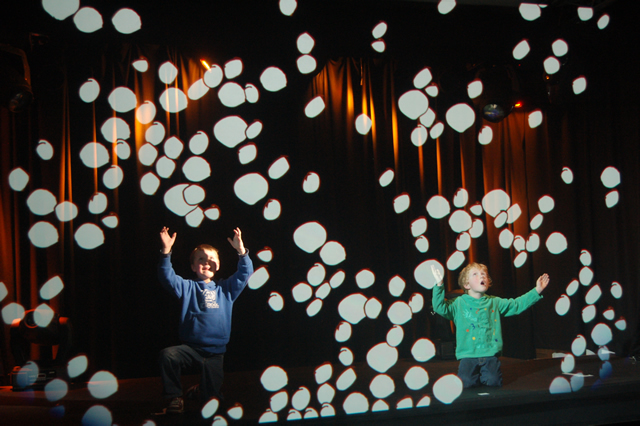 via Little Magic Stories by Chris O’Shea (@chrisoshea) #openframeworks #kinect.